THE NOMINATIONS TO become the next chief economist at the European Central Bank (ECB) closed today – with only one name thrown into the ring. Central Bank governor Philip Lane is in pole position now to take the role on the executive board of the ECB. He’ll take over from current chief economist Peter Praet, who’s set to step down on 31 May. Lane’s name was previously put forward for a top role at the ECB last year, but his candidacy for vice president was later withdrawn with Spain’s economy minister Luis de Guindos taking the job. The Eurogroup will now agree on the candidate before a formal recommendation is made to the European Council on 12 February. The official date set to make Lane’s appointment in 21 March, and he’ll then take up the job on 1 June. Minister for Finance Paschal Donohoe expressed his congratulations to Lane in a statement. He said: “I am delighted to hear that Governor Lane is standing unopposed for the position on the Executive Board of the ECB. Philip is an exceptionally well qualified candidate and I have every confidence would do an exemplary job if appointed to the role. 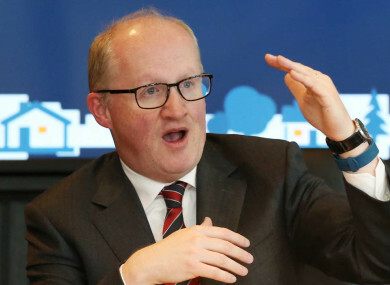 Email “Central Bank governor Philip Lane only applicant for top role at European Central Bank”. Feedback on “Central Bank governor Philip Lane only applicant for top role at European Central Bank”.